Turn your honeymoon into a once-in-a-lifetime adventure by making the journey to Asia. 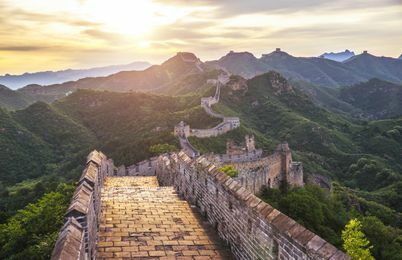 You’ll find ancient history in Xi’an, incredible nightlife in Tokyo, and some of the world’s most stunning beaches in Goa. From backpacking to boutique hotels, there’s an Asian honeymoon to fit every style and budget. 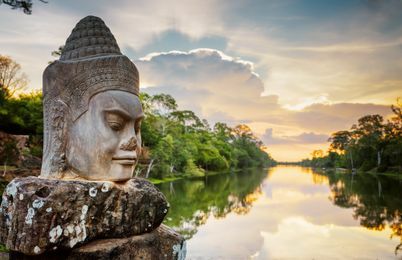 If you’re looking to stretch your budget, laze on paradise beaches, eat exquisite food and stay active with culture, a Cambodia honeymoon is perfect for you. China is a country full of history, culture, shopping, incredible food, and beautiful scenery. For the ultimate in romance, start planning your Indonesia honeymoon. Turquoise lagoons, the most luxurious hotels, deserted islands and the luxury of doing nothing all make a Maldives honeymoon absolutely perfect. A Vietnam honeymoon has something for everyone—incredible sights, beautiful beaches, vibrant cities, and incredible food!